Art. Sacred music. Medieval history. And the digital humanities. Margot Fassler, Keough-Hesburgh Professor of Music History and Liturgy at the University of Notre Dame, brings them all together in her current research on Hildegard of Bingen — research for which she has been recently awarded fellowships from both the American Council of Learned Societies (ACLS) and the John Simon Guggenheim Memorial Foundation. 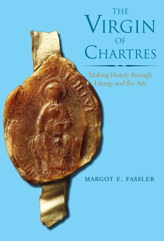 Her winning book, about the history of the Cathedral of Notre Dame in Chartres, France, draws on local histories, letters, obituaries, chants, liturgical sources and reports of miracles to explore the cult of the Virgin of Chartres and its development in the 11th and 12th centuries. The book explores how the past was made in the central Middle Ages and argues for an understanding of the liturgical framework of time. “It was especially meaningful to win this prestigious award in 2012,” Fassler says, “because I am the third Notre Dame faculty member in a row to win, joining my colleagues John Van Engen and Thomas Noble — all three of us fellows of Notre Dame’s Medieval Institute." Next up for Fassler are two research projects focusing on the medieval figure Hildegard of Bingen. The first, called “Hildegard’s Scivias: Art, Music, and Drama in a Liturgical Commentary: Book and Digital Model,” is supported by an ACLS Digital Innovation Fellowship — one of only eight given out each year. The new project, Fassler says, will take advantage of Notre Dame’s “splendid” Digital Visualization Theater (DVT), a 50-foot dome that allows viewers to fully immerse themselves within and fly through high-resolution and high-fidelity images. “We hope to have this 12th-century universe ready for display in the DVT when the Medieval Academy of America meets at Notre Dame in spring 2015,” she says. “We have wonderful people doing brilliant work in the digital humanities here in the College — cutting-edge, innovative projects that take the way we can understand something in wholly new directions,” Holland says. 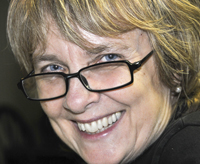 The award will support Fassler’s new book about Hildegard’s early writings. The first interdisciplinary monograph on “Scivias,” it treats the work as a liturgical commentary, one that incorporates art, drama and music in its explanations of the sacraments, she says. Originally published by Joanna Basile at al.nd.edu on May 11, 2012.